A walk-in cooler or walk-in freezer is one of the most important investments that a company or foodservice operation can make. While there are many manufacturers and types of walk-ins, one of the most common issues is leaking water or water buildup inside of the unit. Neglected and poorly designed walk-in coolers and freezers can be more susceptible to leaks and water buildup inside of the unit. These leaks or water buildup can not only increase energy costs but can also incur unnecessary expenses related to spoiled or ruined products and inventory. Additionally, leaking water not only causes wet floors but also creates an environment for mold to grow. An appropriately constructed walk-in freezer or cooler will not only ensure optimal performance but will also prevent leaks and water buildup inside of the unit. The materials, design, and construction techniques used to build the walk-in will influence the unit’s ability to function effectively both short and long-term. Rust, dents, and corrosion can all allow moisture to gain entry to the insulation, resulting in deterioration. Rubber roof membranes, or rain roofs, are often required on standard metal panel boxes. This roofing system is required for outdoor metal panel boxes due to the seams and holes left during the construction or assembly process. This type of roofing system, while effective, will eventually deteriorate and need to be replaced. This is often a cause of leaks and water buildup within a walk-in cooler or freezer. In order to repair a leaking metal panel walk-in unit, old seam caulking must be completely removed and re-caulked. This should be performed at all panel seams and joints periodically. If the leak or water buildup is a result of a hole in the rubber roof membrane, typically the entire membrane will need to be removed and replaced. 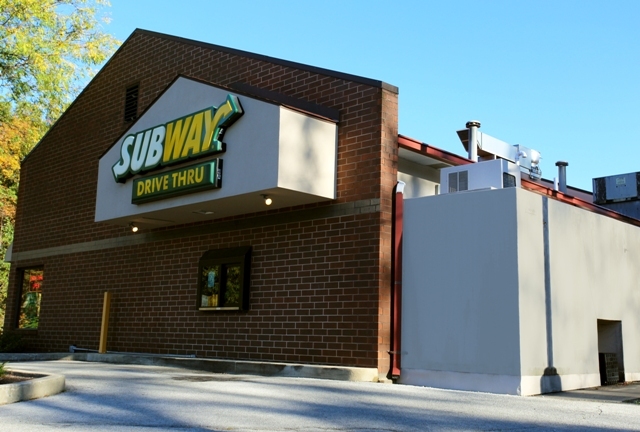 Depending on the size of your walk-in cooler or freezer, a rubber roof membrane can cost approximately $200 for a small unit and up to $900 for a larger unit. This is the cost for just the synthetic rubber, modified bitumen or PVC membrane material. Installation of the membrane will incur additional costs as will the annual maintenance and repairs. 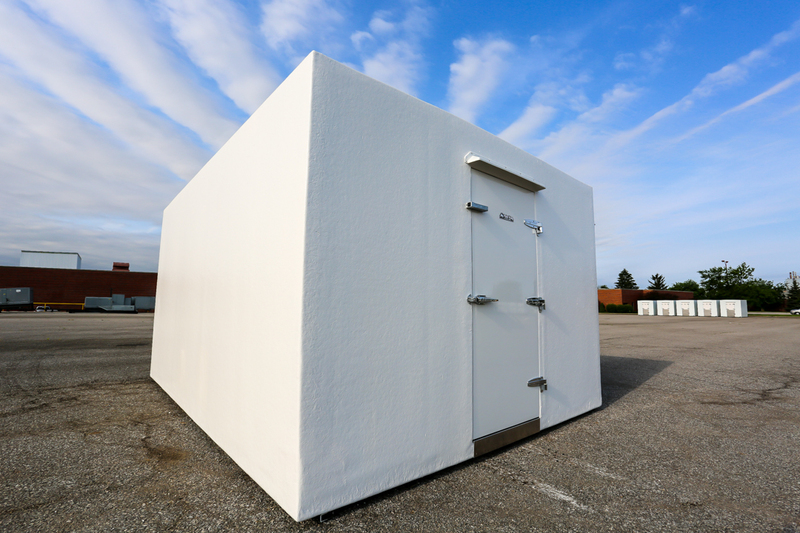 Weather resistant walk-in coolers and freezers are designed specifically to prevent elements such as extreme heat and cold from deteriorating the insulation. Polar King’s 100% seamless fiberglass design provides a continuous surface which keeps the insulated structure completely intact, free of moisture damage and bacteria formation. There is absolutely no way moisture can penetrate the skin of the unit and cause damage to the integrity of the insulation. Other manufacturers’ units require rain caps, membranes, caulking, and even structural enclosures to protect their units from outdoor elements. Polar King’s seamless interior also means no bacteria formation between panels or cracks. Spills and moisture cannot penetrate the floor and deteriorate the insulation because the floor is completely seamless too.